Jewelry Designer Showcase artfully designs glamorous jewelry that encompass luxury at the highest quality. Jewelry Designer Showcase, which is run by the Dannunzio family, has over 62 years of family history in creating fine jewelry. Today, Jewelry Designer Showcase carries on their legacy of creating timeless collections to suit anyone's style. Jewelry Designer Showcase collections contain designs that are unrivaled and patented to provide you with jewelry that is unseen anywhere else in the fashion world. With styles ranging from gold pieces accented with sparkling diamonds, shining silver jewelry adorned with birthstones, and rose designs with gemstones, Jewelry Designer Showcase has something waiting just for you. 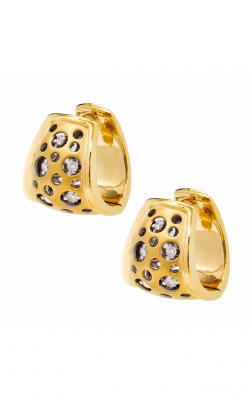 Jewelry Designer Showcase offers a variety of styles to suit everyone's personal taste. The JDS Mirror Collection offers breathtaking necklaces, earrings, and more that reflect strength, love, and beauty because they reflect you. This collection combines 18 karat gold with gemstones of various colors -- emerald, sapphire blue, blazing pink and classic silver to create unique pieces with a contemporary feel. The JDS Floral Collection integrates two timeless symbols of love -- jewelry and roses -- into one romantic set that is colorful and flirty. The feminine pieces in this collection are sure to win your heart with one look. JDS takes a unique approach to wedding, engagement, and anniversary rings in the JDS Symbols Bridal Engagement and Wedding Band and Bridal Anniversary Band collections. You can customize each ring by placing your birthstones into the symbols on the band. 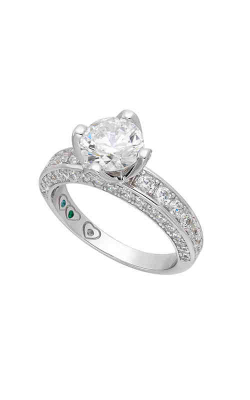 These rings truly reflect your love and journey into marriage and are not found anywhere else. The JDS Classic and Signature collection offers a variety of modern and classic pieces that are made out of 18 karat gold and exquisite diamonds. This collection is sought after for its traditional craftsmanship and high quality. Why Shop for Jewelry Designer Showcase at Medawar Jewelers? Medawar Jewelers' story began in 1920 in Beirut, Lebanon, a bustling city with rich culture. Chakib Medawar was an established craftsman and watchmaker, and through strong family values, passed down his skills and talent to his children. Today, we specialize in providing engagement rings, wedding bands, GIA-certified loose diamonds, Swiss-made timepieces, and fine jewelry for the local community. Our family-run business guarantees quality customer service and fine jewelry in five different locations: West Lansing, Okemos, Jackson, Portage, and Brighton in Michigan. If you're interested in any products or services, please contact Medawar Jewelers.